“Do you ever feel a little down, a little blue, a little bit in need of someone to come along and say: ‘Hey, it’s your day. You are exactly where you need to be!’” That’s the raison d’âtre of “Everything is Going to be OK,” a little book filled with nothing more (or less) than a series of short messages designed to inspire and offer good cheer. When Saturday Mattered Most—The Last Golden Season of Army Football, Mark Beech, Thomas Dunne Books/St. Martins Press. 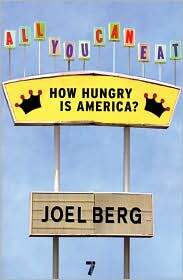 All You Can Eat—How Hungry is America? Joel Berg, Seven Stories Press.